We’re just over a month into the new year and I’m already seeing the benefits of daily journaling and keeping a gratitude log. I’ve had a lot to be thankful for this week. 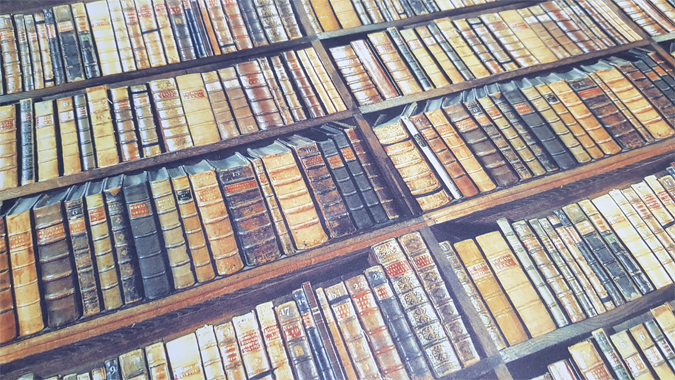 I’ve been keeping an eye out for bookish wrapping paper to jazz up my book photography for a while and lucked out in a couple of bookshops recently. I picked up this first one in The Edge of the World Bookshop last week and the other two in Waterstones the other day. The bottom one is my favourite and I think colourful covers will look great on the black and white background. 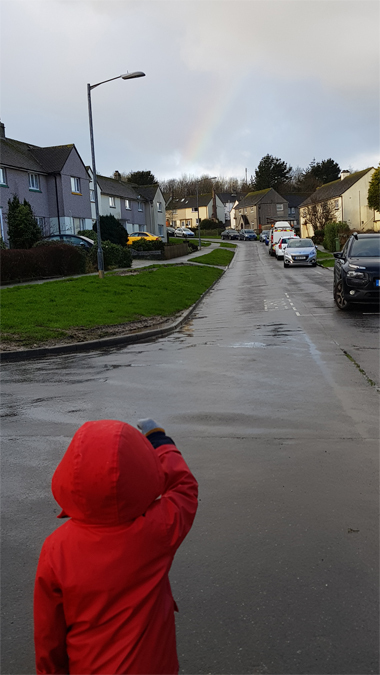 Thursday was the fifth anniversary of the day we found out our first baby’s heart had stopped beating, so it was rather lovely to catch a photo of my rainbow baby waving at a rainbow. 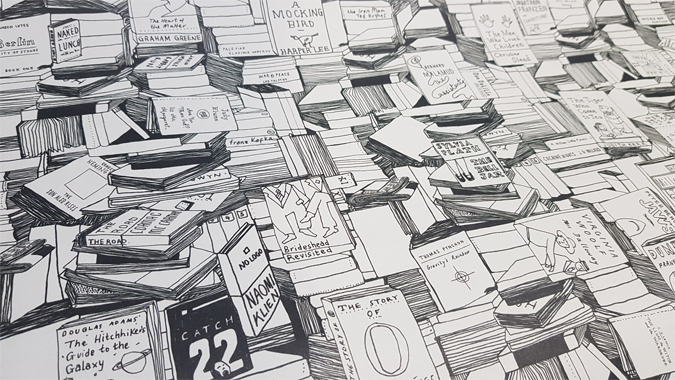 I put myself on a book buying ban for this year while I try and make a dent in my TBR pile. I barely lasted a month! 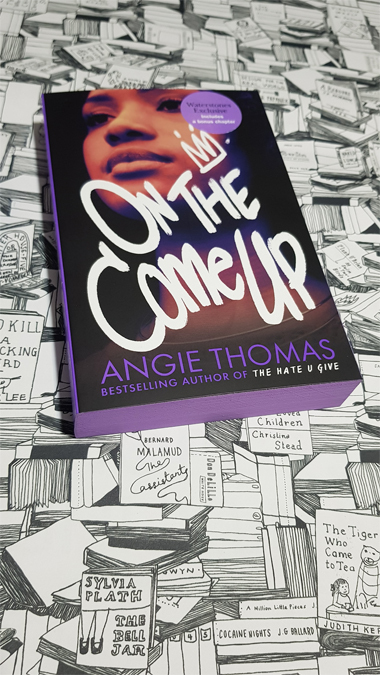 When I was at Waterstones for the Harry Potter event I bought some wrapping paper and figured I’d keep an eye out for the Waterstones edition of Angie Thomas’ On the Come Up. I thought about waiting for a library reservation but THUG was so good that I have high expectations and can’t wait to read it. Those edges though! Of course, when I saw that it was on a buy one get one half price offer, I had to pick up another book. I nearly bought Why I’m No Longer Talking to White People About Race but ended up going with the heftier Rise Up, Women! 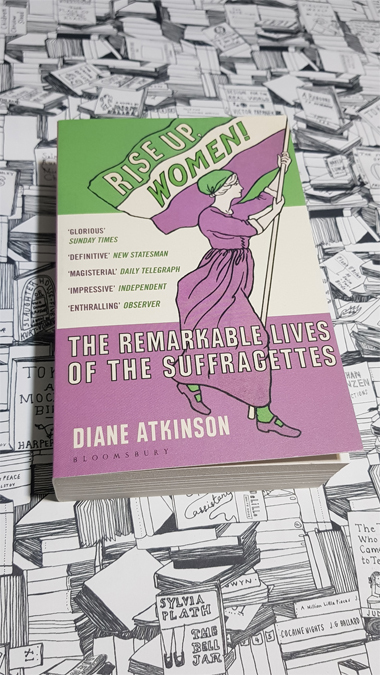 : The Remarkable Lives of the Suffragettes. I fell in love with the cover when I spotted it in a bookshop before Christmas and decided now was the time to buy. 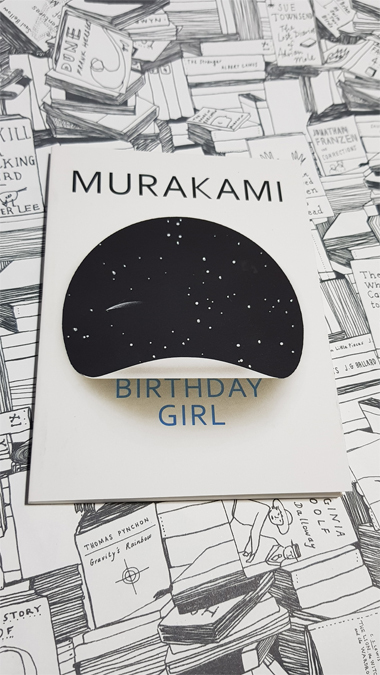 They also had this beautiful short story available at the till for just £1.99. 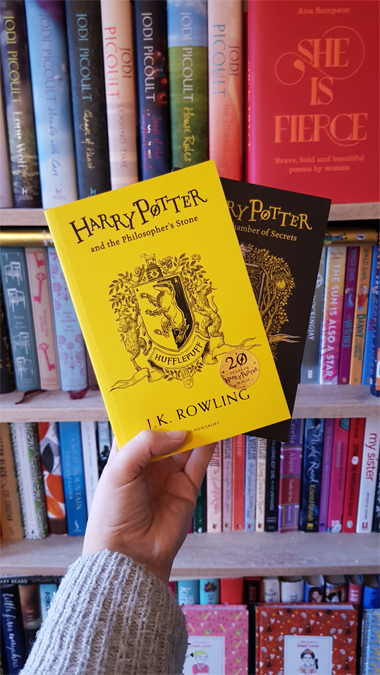 The picture doesn’t do it justice – it’s so shiny! Check it out on my Stories highlights. 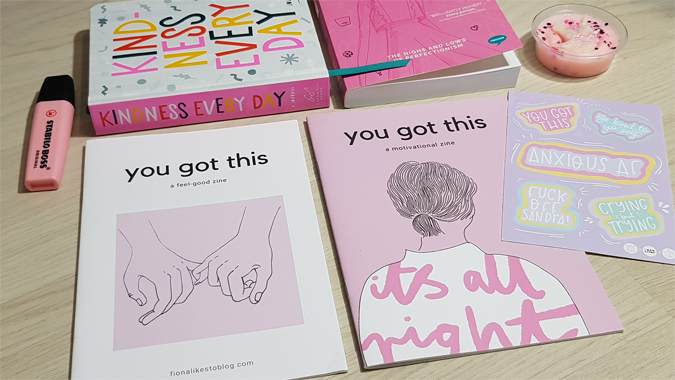 In my latest ‘what I’ve been reading lately‘ post, I shared a short review of Fiona Thomas’ Depression in a Digital Age. 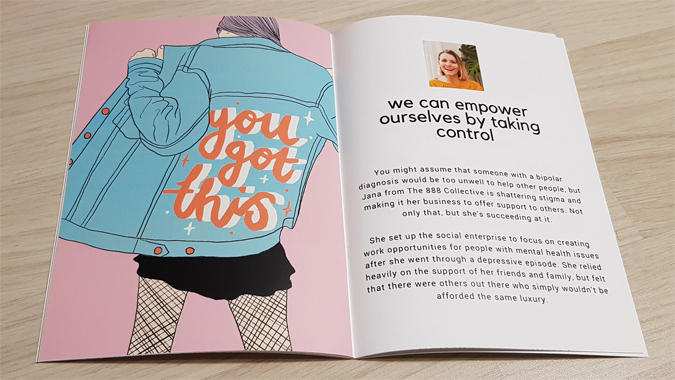 I follow her on Instagram and spotted her zines the other day. I nearly ordered the double pack for £10 (+ free delivery) but didn’t really want to spend a tenner at the time. 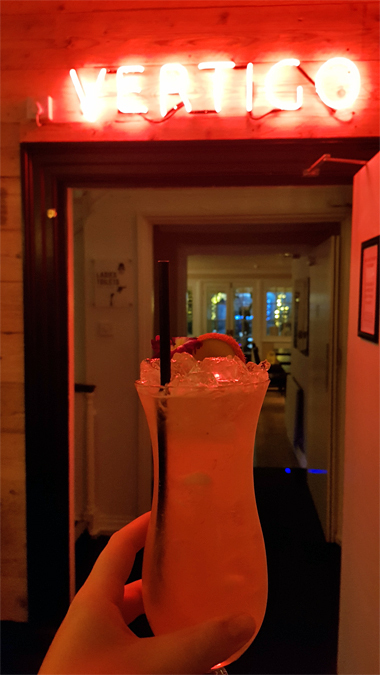 A couple of days later she shared an offer for 50% off when you spend £10 – good things come to those who wait! They also came with a sheet of stickers which will be taking pride of place in my bujo. I just wish I got the t-shirt as well now. I’m hoping to catch up on the podcasts soon. 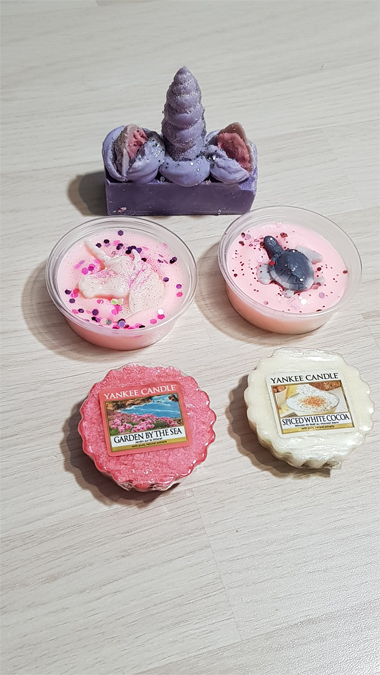 Every time I visit Dom the house smells lovely – the girl loves her wax melts. And now I do too, especially when she shares. Look at the lovely goodies she gave me earlier this week. They’re almost too pretty to use. One of the things on my five-year plan is to invest in myself more. I’d love to sign up for some coaching sessions and attend more blogger events and workshops but everything is so far away and my funds don’t extend that far. 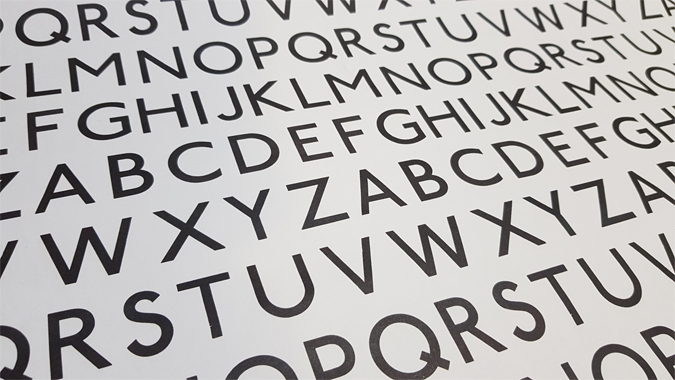 I was so excited to find a programme of creative workshops just a short bus ride away from me in the next couple of months and I’ve signed up for a couple, including one on creative journaling and mindfulness. I’m really looking forward to it. Rainbows always make me smile, and that’s such a beautiful moment to share with your little one (especially given the timing). I love Fiona’s work – she’s amazing!